The Obama administration announced Friday that, effective immediately, it will begin issuing work permits and grant relief from deportation to certain illegal immigrants brought to the country before they were 16 years old. President Obama defended his administration’s new policy Friday afternoon as a measure that will “lift the shadow of deportation” from immigrant youths who “have done everything right” after being brought to the U.S. illegally. “I have said time and time again to Congress, ‘Send me the DREAM Act, put it on my desk and I will sign it right away,’” he said during a brief news conference in Washington, D.C. The key difference between what Friday’s directive accomplishes and the DREAM Act is that the latter has proposed mechanisms that would allow eligible immigrants to apply for legal permanent residency status. The deferred action initiative only grants work authorization for qualifying illegal immigrants and removes them from deportation proceedings. It is, however, renewable every two years and is being touted as a means to allow those people the chance to live and work legally while Congress debates a more comprehensive solution. The Obama administration announced Friday that, effective immediately, it will begin issuing work permits and grant relief from deportation to certain illegal immigrants brought to the country before they were 16 years old and are currently younger than 30. The initiative, which has similarities to the DREAM Act, affects illegal immigrants who have currently lived in the country for at least five straight years, are in school or have graduated from high school or have obtained a GED, or are honorably discharged of the military. Applicants cannot have any felony convictions, a “significant misdemeanor offense, multiple misdemeanor offenses, or otherwise pose a threat to national security or public safety,” according to the Department of Homeland Security. Successful applicants will be given deferred status for two-year periods, which can be renewed, and will be eligible to apply for work authorization. Those who are eligible to be deported or are in deportation proceedings and meet the qualifications can take advantage of the "deferred action" policy, as it is referred to by the Department of Homeland Security. The policy does not need congressional approval and comes at a time when Obama has upset members of the Latino community for his administration’s record-breaking deportation statistics. U.S. Rep. Lamar Smith, R-San Antonio, chairman of the House Judiciary Committee, was quick to blast the move. "President Obama’s decision to grant amnesty to potentially millions of illegal immigrants is a breach of faith with the American people," he said in a statement. "This huge policy shift has horrible consequences for unemployed Americans looking for jobs and violates President Obama’s oath to uphold the laws of this land." Smith added that the policy is a "magnet for fraud." "Many illegal immigrants will falsely claim they came here as children and the federal government has no way to check whether their claims are true," he said. Democrats, however, said the act should serve as a catalyst for comprehensive reform. Others could attack the move as a political ploy to court the Hispanic in an election year. And Texas’ Hispanics Republican leaders have said recently that the Obama administration failed to move on immigration when he had a majority of both chambers of Congress. According to the National Association of Latino Elected and Appointed Officials, as of July 2011, the country has an estimated 12.2 million projected Latino voters, an increase of about 26 percent from 2008’s figures. Texas is home to about 2 million of them. Friday's announcement builds on a series of changes to immigration policies that began a year ago. In June 2011, Immigration and Customs Enforcement announced it would begin using “prosecutorial discretion” when determining which illegal immigrants to deport. That discretion includes taking into consideration the person’s education in the U.S. and whether they have graduated high school and have attended college. ICE officials are also directed to consider whether the illegal immigrant is the child or spouse of a U.S. citizen, if a person’s immediate relative has served in the military, if he or she is a primary caretaker of someone who is ill, and the current conditions in the person’s home country, or the circumstances upon their arrival here, specifically if they came as a young child. Friday’s announcement is much more defined, but should still settle some nerves within the immigrant community, specifically those who have maligned the president for failing to move forward on immigration reform. 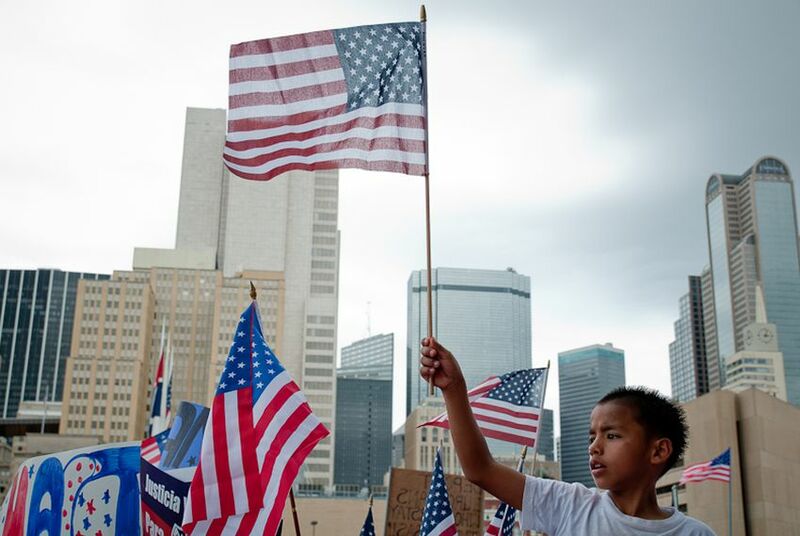 It also comes just before an the U.S. Supreme Court is expected to announce a ruling on the constitutionality of provisions in Arizona’s Senate Bill 1070, which would require local law enforcement officers to check the immigration status of people they detain.